The 1st International MicroTEC Student Conference kicks off a series of activities and events providing interested students with access to career opportunities in microtechnology in the cluster of excellence “MicroTEC Südwest” (Southwest) in Germany. The International Student Conference focuses on microtechnology and targets advanced students of engineering and science interested in microtechnology. 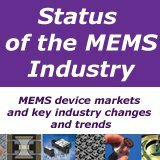 The ever growing popularity of mobile devices and increasing usage of MEMS sensors are set to drive sales for MEMS sensor vendors. 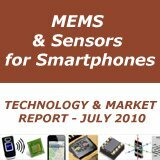 New market intelligence from ABI Research projects the MEMS sensor market in mobile devices will be valued at $1.2 billion by the end of 2012 and reach $2.8 billion in 2017. The most common sensor is the accelerometer, enabling devices to switch from a portrait to landscape display by simply turning it. More than 4 out of every 5 smartphones shipped this year will contain an accelerometer and ABI Research estimates 32% of MEMS sensor shipments will be accelerometers in mobile devices. 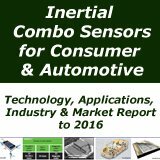 Nevertheless, gyroscopes were the largest portion of the MEMS sensor market in revenue terms and will reach $350 million this year. 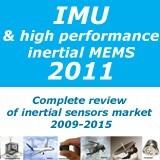 MEMS sensors will play a key role with mobile service and application companies. The sensors enable mobile network operators, app designers, and mobile device operating systems to offer better and more interactive features to different mobile devices. Smartphones are the largest market for MEMS sensors in mobile devices. 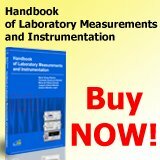 The total annual revenues for sensors will be $1.3 billion by the end of 2012. MEMS sensor revenues for smartphones are forecast to be worth $4.4 billion in 2017. Media tablets were the second largest market for MEMS sensors in mobile devices and are predicted to be almost $835 million in 2017. DALLAS, August 23, 2012 /PRNewswire via COMTEX/ -- According to a new market research report "World Sensors Market in Healthcare Applications (2012-2017), Global Forecast & Analysis - Segmentation by Type of Sensor (Temperature, Pressure, Chemical, Flow, Level, Position, Image and Biosensors), Monitoring, Therapeutic, Diagnostic, Drug Discovery & Delivery Applications, Geographical & Country-wise Markets" published by MarketsandMarkets ( http://www.marketsandmarkets.com ), the total market is expected to reach $13.11 billion by 2017. The use of sensors in the healthcare sector is mainly driven by the increasing need for sophistication in medical electronics to "sense" and "monitor" temperatures, pressures, chemical, and biological levels of patients and drugs for applications in diagnostics, therapeutics, monitoring, drug discovery and delivery; in hospitals and other medical facilities, including home-treatments. Sensors play an important role in enhancing safety and improving the quality of life in the healthcare arena. Sensors are increasingly being used in medical applications due to accuracy, intelligence, capability, reliability, small size, and low power consumption of sensors. Sensors increase the intelligence of the life supporting implants. They can also be used in various types of monitoring appliances to provide better quality of life for the patients. Sensors enable early detection of ailments, thereby allowing a timely prevention or cure. The Medical sensors market is experiencing an increase in revenue due to several reasons such as demand from the healthcare sector for better and improved care, rising importance of sensors in almost all medical devices, developments in sensor technology, and newer medical applications for sensors. The sensors market in medical applications is driven by rising healthcare costs, aging population, wide-spread diseases and the need for medical diagnosis and treatment in developing and under-developed regions. The developed economies such as North America and Europe currently form the major shareholders in the revenue of sensors in healthcare applications, but the revenue is expected to increase rapidly over the years to come, with an increasing penetration of advanced sensors in sophisticated medical equipment being deployed for use in developing geographies such as Asia and Africa. The penetration rate is also being increased by the growing awareness for advanced healthcare infrastructure in all countries, about the benefits and role of advanced sensors-equipped medical equipment, in preventing illness and saving more lives. 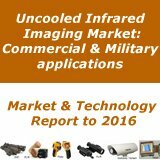 Also, as the prices of advanced medical sensors are slowly being reduced and made affordable, their penetration rate is set to increase in developing and underdeveloped regions. The various sensors to find applications in healthcare include pressure, temperature, chemical, flow, level, position, and image and bio sensors. 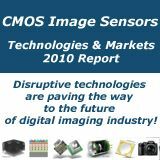 In terms of market statistics, the biggest revenue contributors are biosensors, which are sensors specifically designed for use in biological applications such as cardiac pacemakers, in-vitro diagnostics, and other implantable medical electronics. The biosensors can be termed as the biggest game-changers for sensors market in healthcare applications in the past two decades, as it can be undoubtedly said that the current huge market size worth approximately $8 billion is attained through biosensors. They, at present, account for a majority of the total revenue, owing to the wide-spread use of biosensors in monitoring and diagnostic applications of the medical segment and rapidly increasing use of biosensors even in the pharmaceutical segment. The most important turning point in the history of sensors in healthcare was the advent of micro-system technologies for use in sensors for both, medical & pharmaceutical applications over the latter half of the previous decade. 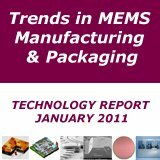 Micro-system technologies such as MEMS, CCD, and CMOS for miniature sensors and micro-fluidic chips have revolutionized the medical & pharmaceutical electronics segment by allowing smaller form factors, greater accuracy & precision characteristics, advanced control and low power consumption in devices & equipments. These technologies have enabled rapid deployment of sensors in several sophisticated medical & pharmaceutical equipments. Some of the sensors and related devices that came into picture due to micro-system technologies over the past decade include pressure sensors for blood pressure, respiratory or kidney dialysis monitoring; accelerometers for pacemakers; silicon microphones, micro-actuators and microelectrodes for hearing aids; microelectrodes for cochlear implants; micro-pumps for infusion drug delivery; needle-free injection devices; IR ear thermometers; atomizers for nasal or pulmonary drug delivery; ultrasound sensors for medical imaging; neural stimulation for devices; smart pills for imaging; accelerometers for human fall detection; Micro-needles for trans-dermal drug delivery; active patches for trans-dermal drug delivery and so on. Thus, it can be seen that owing to several revolutionizing factors and game changers, the sensors market in healthcare applications has evolved from an infant to a gigantic market over four decades. Technological advancements, huge level of R&D activities, growing demand for sophisticated medical equipment are expected to drive the evolution of sensors in the healthcare sector, boosting the overall market revenue significantly over the coming years.